“Criminals are smart, and they will take advantage of any perceived weakness to invade your home and steal your possessions” (linkedin.com) reads a seemingly innocuous advertisement geared more towards appealing to our basest collective fears than providing the reassurances of home security products or services. The implication, though, is that criminals are smart, but those who do not protect themselves or their property are not. “Perceived weakness” implies home owners are weak who do not protect themselves, their loved ones, or their homes. Is it hardly a foundationless fear when in the United States “[e]very 13 seconds a home intrusion is committed” (Safeguard 1). Compound that with the fact that “[p]olice usually only clear 13% of all reported burglaries” and a grim picture emerges indeed. We all have the undeniable right to feel safe within the boundaries of our homes, but how much protection is enough? Does there exist a line we cross that takes us into the extreme? South African writer and Nobel Prize winner Nadine Gordimer tackles this problem of the extreme measures we take to secure our homes in her short story “Once upon a Time.” However, a close look at her story and one can see the real problem she is addressing, a problem inspired by her own experiences with her country’s system of racial segregation called apartheid. While never denying the individual rights of protection and safety, Gordimer simply offers the reader a Fairy Tale in which a nameless family sees escalating danger from the rioting, segregated community encroaching more and more into their lives, thus prompting the family and their community to take more and more safety precautions to protect their homes. Never once does the family or its community consider attempting to solve the problem in any other way. For example, they do not hold any dialogue with the suburban rioters in attempt to learn the reasons they are rioting, stealing, and murdering those in the family’s community, thus denying any possible alternative to escalating extremes of security that ultimately end up tragically harming the family. Through rhetorical choices of audience, genre, and purpose, Gordimer offers her tale as an exemplar of extremes in an attempt to motivate readers to consider alternatives that may be not only less harmful, but broader in scope in their solutions. 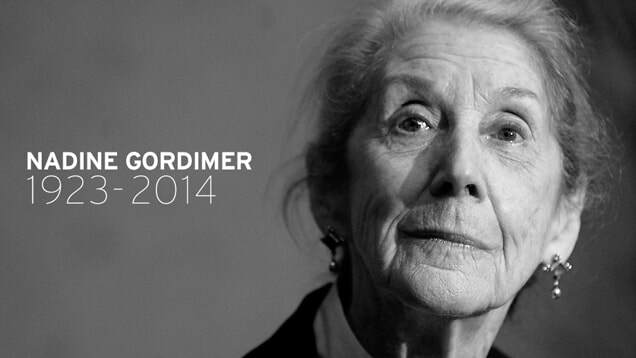 An initial look at apartheid in South Africa will show the context of Gordimer’s audience. Gordimer includes characters such as the trusted cooks and faithful gardeners in her story. Her story is an elegant means of resistance for an audience hostile to both change of social structure and bigoted ways of thinking. Writing about a serious problem such as apartheid begs the question: Why a fairy Tale? Gordimer chooses the genre of Fairy Tale to take advantage of the generic expectations we associate with that format, expectations audiences have been programed to associate since they were children. She does, however, subvert every convention she uses to reinforce that this is no tale for children. She begins her subversion with the title “Once upon a Time.” This immediately calls to mind stories from our childhoods, stories of fantastical beasts like dragons and trolls, horrible witches, dangers for heroes to overcome, damsels in distress to rescue, quests and impossible tasks, and both surprise endings and happily ever after (Gotkurk). Gordimer begins subverting our expectations from the beginning of her tale: “In a house, in a suburb, in a city, there were a man and his wife who loved each other very much and were living happily ever after” (1). Usually, narrative settings begin with a focusing in on the location whereas Gordimer pans our focus out. She does this right away to show readers that this story has more significance than just for the family mentioned. Narrative distance, however, is important for establishing setting for the reader, but as once upon a time suggests, it is usually accomplished through time. Other examples: “A long time ago, in a galaxy far, far away,” (Star Wars); “At the time when men and animals were all the same and spoke the same language…” (Traditional Navajo opening); “Far, far away in Russia, very long ago, there lived...” (Russia). Many tales begin with olden times or ancient days. This narrative distance is imperative for the reader to be open to the moral message at the end. By distancing one’s self from the actions of the story, even when those actions reflect the very society in which one lives or address the very moral issues with which one may be struggling. Other narrative subversions include the fact her family’s initial state is one of already achieving happily ever after. That is usually associated with the end of Fairy Tales. By giving us a family already existing in this state, she gives us a family with nowhere to go but down. Fairy Tales have witches, and Gordimer provides us a “wise old witch, the husband’s mother (1) seemingly for humorous reasons, but the witch’s gift, a book of fairy tales to her grandson for Christmas, contributes to the boy’s demise unlike the evil queen’s gift of a poison apple to Snow White which ultimately leads to her happy ever after. There is a dragon in the story in the form of a security company named Dragon’s Teeth. They provide the family with the barbed wire coils with which they surround their house. This coil, this dragon the boy decides to slay, like in the fairy tale of Sleeping Beauty, does not provide them means for the hero to show his valor, but rather provides the means through which the hero dies, another subversion by Gordimer. In Jungian archetypes, Gordimer provides us with trolls: “many of the people who were not trusted housemaids and gardeners hung about the suburb because they were unemployed. . . . They sat about with their feet in the gutters, . . . and sometimes fell asleep lying right before the gates in the midday sun” (2). These trolls provide an existential threat. Do nothing, and the responsibility rests with the decision maker. Do something, like when the wife tries to feed the men outside her home because she could “never see anyone go hungry” (2), and she is chastised by her husband: “You only encourage them with your bread and tea. They are looking for their chance” (2). Gordimer’s use of all these elements we associate with Fairy Tales is subverted to show how her own society has subverted the rights of those with the bad luck to be born of another color in a country not interested in making the lives of minorities better unless that improvement serves the higher needs of the white citizenry. So does she provide a moral message or does she subvert that as well? ​Fairy Tales, like parables, often come with moral messages at the end. Gordimer in no way ties up a moral message with a tidy bow for her readers, and through the use of understatement manages to make the tragic ending even more shocking. The initial state of the family’s son is one of happiness and contentment; however, the last line of the story reveals his tragic end: “the bleeding mass of the little boy was hacked out of the security coil . . . and they carried it – . . . into the house” (3). The son is reduced to being a mere pronoun – it. Though done in a non-didactic way, Gordimer’s moral message is clear: going to extremes to solve the problem of securing our homes rather than looking at the outside social factors creating/contributing to the problem could result in harming those we are trying to protect. The negative effects are not only restricted to the family’s child. Their choices harm both themselves and their community. The family becomes more and more isolated, and the community transforms from a beautiful ideal setting to one with walls with “the low-cost option of pieces of broken glass embedded in the cement along the top of the walls, there were iron grilles ending in lance-points, there were attempts at reconciling the aesthetics of prison architecture with the Spanish Villa style (spikes painted pink)” (3). They have gone from a neighborhood full of beautiful sights as they take the dog for a walk to one where they can no longer “pause to admire this show of roses or that perfect lawn” due to the fact that “these were hidden behind an array of different varieties of security fences, walls, and devices” (3). Later in the story, Gordimer describes the neighborhood as having taken on a “concentration-camp style” (3). This shows the devastating effect extreme choices of security take on both individuals and their communities. Isolation and personal harm become part of the equation that must be considered before society itself is reduced to being a bloody it. At no point does Gordimer deny her readers their rights to security. She would be irresponsible to do so. Much of her audience faced the very real threats and dangers that a system of racial segregation inevitably creates. She simply presents a look from the outside (remember that pulling back of perspective at the beginning of the story?) of one way of thinking. She offers no answers but merely presents her tale. She does, however, precede her tale with one of a section of a more personal perspective describing how frightened she was hearing noises in her home at night. She writes, “I have no burglar bars, no gun under my pillow, but I have the same fears as people who do take these precautions” (1). This shows a personal choice not to take precautions does not provide any more peace of mind than extreme options might. In this way she addresses those who would declare that doing nothing is also not a solution. The family, though, continues to feel endangered by outside forces even though they take one precaution after another. “I lay quite still – a victim already” shows, however, that our fears must not be allowed to determine alone what steps we take for protection. If the choice is between fear or self-harm, then actions of investigating and collecting information can often extinguish our fears and lead to avoiding self-harm. Her implication for her audience is that by investigating into the why people in the story are rioting and are unemployed and are loitering and are fouling their neighborhoods could lead to not only greater personal security, but to more peaceful, secure communities. Lessons come to us in many different forms from lectures, sermons, or even Fairy Tales. Narrative is a good choice in which to couch a message for the readers. It feels less overtly didactic and more subtly suggestive rather than preachy. Dealing with a hot button issue such as race relations always has the potential for volatility, but it also can bring out the worst in our natures. Gordimer offers no clear solution to the problem of our security against outside threats. She never poses even a possible answer to the problem. She simply narrates a story where decisions of going to extremes has an extreme consequence. By couching her concerns in an innocuous format, a Fairy Tale, allows the reader to draw his/her own conclusions. For a society like America where issues of security in a post 911 world are always a concern, where one side’s solution is to arm itself to the teeth while the other side demands more regulation as the answer, the topic of security still resonates today. Does one take a defeatist attitude like my grandmother who once told me, “Locks only keep honest people out”? Or do we stock up on guns and ammunition to the point where we are all walking accidents waiting to happen? In a country where “a study based on data from 2012 to 2014 suggests that on average, 5,790 children in the United States receive medical treatment in an emergency room each year for a gun-related injury” with “[a]bout 21% of those injuries are unintentional,” (Howard) maybe the solution is not regulation, but rather responsibility…not to prevent some from making that choice to protect themselves and their homes, but to lock the guns up in households that make the decision to have them. Perhaps that is Gordimer’s real message…responsibility. We are responsible for our choices. We are responsible for our freedoms. We are responsible for the spaces we share. While offering no concrete solution, Gordimer’s story does invoke contemplation of an issue that has no ready solution. It also encourages us to look for alternative solutions that may make society as a whole safer so that we need not go to extremes, thus isolating or endangering ourselves. Readers should always look for multiple solutions for every problem…especially one’s that may endanger them further. Gokturk, V. “The Elements of a Fairy Tales.” Elements Found in Fairy Tales. www.surfturk.com/mythology/fairytaleelements.html. Accessed October 7, 2017. Gordimer, Nadine. “Once upon a Time.” Napa Valley College. http://www.napavalley.edu/people/LYanover/Documents/English%20123/Nadine_Gordimer_Once_Upon_a_Time.pdf Accessed on July 12, 2015. ---. “Something Out There.” Something Out There (London: Jonathan Cape, 1984): 147. Howard, Jacqueline. “Guns kill nearly 1,300 US children each year, study says.” CNN. Cable News Network. Turner Broadcasting System, Inc. Updated June 19, 2017. Kynoch, Gary. "Apartheid’s Afterlives: Violence, Policing and the South African State." Journal of Southern African Studies, vol. 42, no. 1, Feb. 2016, pp. 65-78. LinkedIn. “Common Problems with Home Security.” www.linkedin.com/pulse/common-problems-home-security-systems-pavel-asanov. Accessed October 7, 2017. Miller, Margaret. “Forms of resistance: South African women's writings during apartheid.” 03114198, 1998, Vol. 24, Issue 1. Nattrass, Nicoli. "Deconstructing Profitability under Apartheid: 1960–1989." Economic History of Developing Regions, vol. 29, no. 2, Dec. 2014, pp. 245-267. Safeguard the World Professional Preventative Security. “Security Statistics.” The Need. www.safeguardtheworld.com/statistics.html. Accessed October 7, 2017. Issues of Purpose, Audience, and Genre greatly affect the form a piece of writing takes pace.